I hope everyone had a fantastic weekend. Monday night features nine games throughout the association with a good portion of them anticipated to be high-scoring, competitive affairs. Remember, we want players from games that are fast-paced and close in nature with a large overall score. We have a few key injuries to keep an eye on as Domantas Sabonis, Marc Gasol, Kyle Anderson, and Harrison Barnes are all in danger of not playing, or have already been ruled out. Lastly, keep an eye for those having sacrificial lambs in their lineups. The Sharks have been omitting a player who has a minimum salary ($3,500) in order to increase the average roster allowance among the rest of the players. We can thank FanDuel for implementing the rule where you can drop the lowest-scoring player in your lineup. 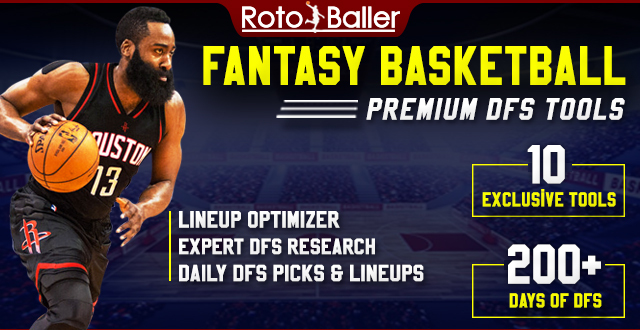 In this article, I will be providing you with my daily fantasy basketball lineup picks for FanDuel on 10/22/18. These DFS lineup picks can vary from higher-priced players and elite options to lower-priced players and value picks on FanDuel. 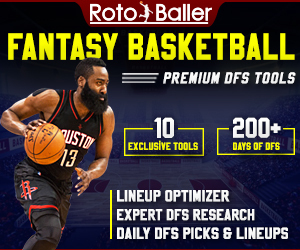 You can also check out today's DraftKings lineup picks and our Premium DFS Cheat Sheet. And don't forget to check out our brand new NBA DFS Matchup Ratings tool with daily player projections. Since putting up only 19.3 fantasy points on opening night, thanks in large part to a shoddy shooting performance, Irving responded against the Raptors and Knicks, averaging 32.75 fantasy points over those two games. He is still a little off, or at least it appears, but you can save at least $2,000 by picking him up instead of Damian Lillard or Stephen Curry and see numbers that are comparable. After Saturday night's main event, Rajon Rondo and Brandon Ingram will be serving suspensions which will open up more minutes for Josh Hart. Though LeBron clearly monopolizes the offense, the 23-year-old can get it done in all areas of the game as evident by his current averages of 1.5 blocks and 2.5 steals per contest. He will see more minutes and likely hit his value, even possibly exceeding it. At $6,800, Lonzo Ball isn't looking too bad either as he will also benefit from the aforementioned sentences. Jayson Tatum is priced very generously, especially considering the minutes' restriction imposed on Gordon Hayward. 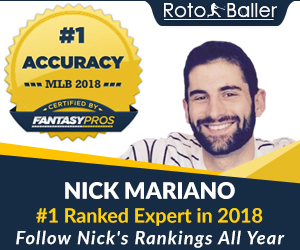 It shouldn't take him too long to put up some fantasy points against Orlando, a team that has apparently picked up right where they left off from last season. Evans hasn't been getting a ton of minutes, but he has undoubtedly been making the most of his time on the floor this season. Averaging 13 points, four boards, four steals, and nearly two steals per outing, Evans will make a fine addition to any fantasy lineup on Monday night. Apparently, somebody wants a new contract this summer. Kanter has been on a roll, averaging 20 points and 12 boards per game. With the Knicks lacking on the offensive end outside of Tim Hardaway Jr., Kanter has stepped up to the plate, and as long as his back holds up, he should continue doing so moving forward.